We got a call back in the Winter about creating an invitation for a pre-Grammy's party. Yes, those Grammy's. To say we were excited is an understatement! The Grammy's were moving back to New York after being in LA for 14 years, so this was a big deal. 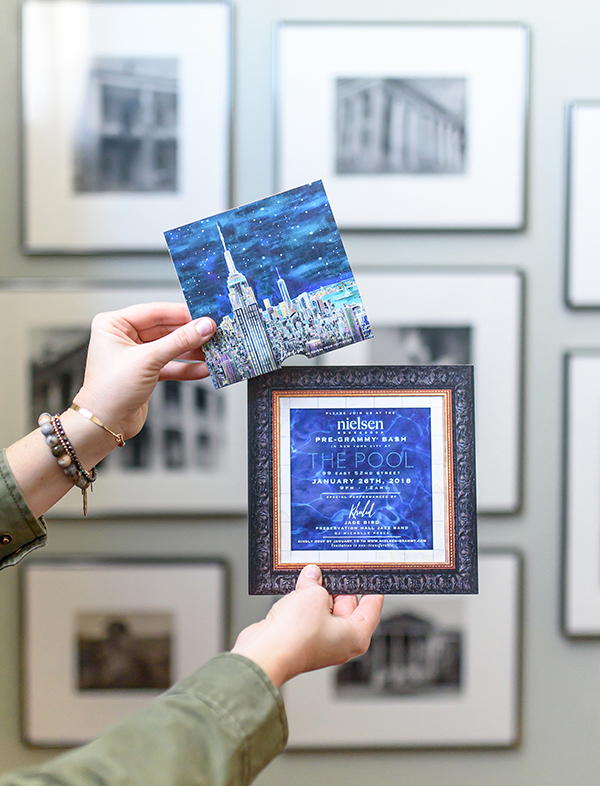 We really wanted to play up The Big Apple so we created this watercolor, night skyline. The watercolor painting actually pops out of the frame to reveal a pool. This Nielsen Pre Grammy Bash was held at The Pool, New York (which has an actual, square pool in the center) so we found it was a clever way to allude to the evening.